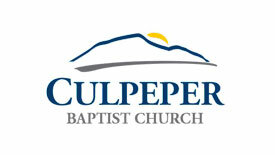 The 2016 Culpeper Cycling Century will start and finish at the Culpeper Baptist Church, 318 South West Street, Culpeper. Parking locations will be the same as previous years. See the parking map on the Map & Cue Sheets page. Burnt Ends BBQ will be providing lunch. Lunch is included for the 67 & 103 participants. They will also have a full menu for purchase. For those that would prefer a vegetarian option, please mark that when you registered. We will also have limited quantities of a vegetarian wrap available. Reminder, register by Sunday, September 4th (online) to guarentee your desired t-shirt size. After Monday, t-shirts will be given on a first come first served basis. Registration fee will increase by $5.00 beginning Monday, 9/5. Be sure to save and register NOW!